Dorchester’s 17 year old George Kelman-Johns joined the "Love Watercress" Ambassador Programme in October 2018 to explore how eating more watercress would help in his training and plan to achieve his long-standing ambition of swimming at the Tokyo Paralympics in 2020 and again in Paris in 2024. George tells us about his tough training regime, some of the exciting camps he’s been on recently and the ways he has incorporated watercress into his diet since becoming a watercress fanatic. I had an amazing experience when I went on a "swim camp" in Tenerife for the top 16 year old’s in Swim England aquatics with a Dudley College Diploma in Sporting Excellence. I gained invaluable experience training in the 50m pool and had my backstroke analysed in a flume tank at a top athletic warm weather training centre. The flume is a brilliant training aid as it allows me to focus on detail from multiple angles. Least effort for maximum power and a super still head is key basics. I also competed in the Alliance Activity Para Swimming Nationals in Manchester in December where I won the Youth Silver medal 100m and 200m Freestyle. I was particularly delighted to achieve more than 800 points in the 200m Freestyle for the first time. This was especially exciting as 800 points was the minimum target for consideration for British Para Swimming Podium Potential. My next major competition is the British International Para Swimming Meet in April which is being held in Glasgow where I need to secure 815 points to go onto the next stage. To prepare for this I’m off to Majorca with 28 fellow swimmers where I hope to perfect the new techniques learned in Tenerife and which will hopefully pay off in Glasgow. My normal training regime is pretty relentless. I train full time with Swim Bournemouth in the Performance Squad under Head Coach, Matt Heathcock. I mainly train at Canford School and Littledown BH Live Sports Centre. On average I spend 16 hrs training a week covering a distance of between 4000m – 6000m a session which equates to around 17.5 miles a week. In addition I have a 1 : 1 strength and conditioning session twice a week with my coach Angus and swim for two hours with Swim Bournemouth. After all that, it’s no wonder I get hungry! When I first went to collect my watercress I played it safe and took spinach too as I'd been eating lots of this for a while...but over the last few months I've become nearly addicted to watercress and dropped most of the spinach. These meatballs are so healthy and taste great and can easily be eaten on the move which is perfect for me as I spend at least 45 minutes travelling to and from training. 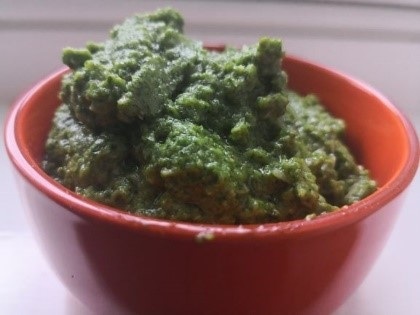 I also think Watercress Pesto is great. It’s another bang on and easy way of using watercress as I have had this with pasta, but also in a wrap and as a base on homemade pizza. It’s amazing on top of baked salmon too. The whole point of the ammbassor project for me was to make me think more about my nutrition and how I can make it even better especially for my Swimming Strength and Conditioning. A favourite way my mum has added watercress to my diet is via Power Protein Watercress Meat Bombs that mix watercress with ground turkey breast, eggs, quinoa and my other fav ingredients. I do of course use watercress in simple ways like in sandwiches and I’m also trying it wilted into my scrambled eggs in the mornings - you could definitely say I'm almost addicted to it! Ive switched spinach to watercress and now eat masses of it. It’s great to have local company support and I’m very grateful to Tom Amery, MD of The Watercress Company for his guidance with regular meetings to help me gain confidence in promoting my swimming via social media and guiding my nutritional knowledge of Watercress (I never knew that watercress can aid my recovery after exercise and protect my body from DNA damage caused by exercise). Both these skills will help me attain my goal of representing my country at swimming. I do have a GoFundMe page as I am not funded as yet by my sports governing board or by UK Sport so any help, or sharing of my story would be great! In the meantime, here’s a link to my Go Fund Me page - please feel free to donate! I’d be enormously grateful.